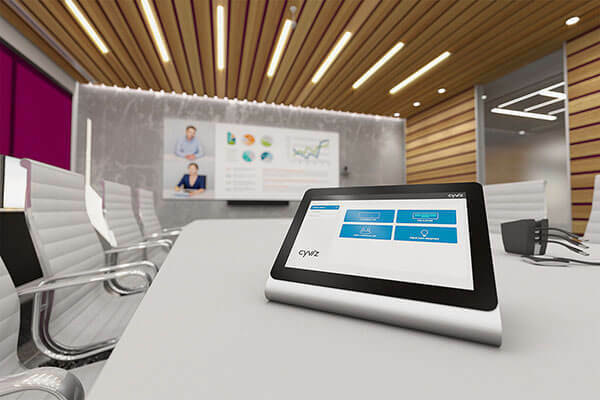 Having formed a strategic alliance with Cyviz, Cinos were keen to demonstrate how their superior visual collaboration technology would be the perfect fit for the organisation’s new-look conferencing facilities. The installation of the Cyviz F103 and associated technology has significantly enhanced the collaborative capabilities of our public sector client. 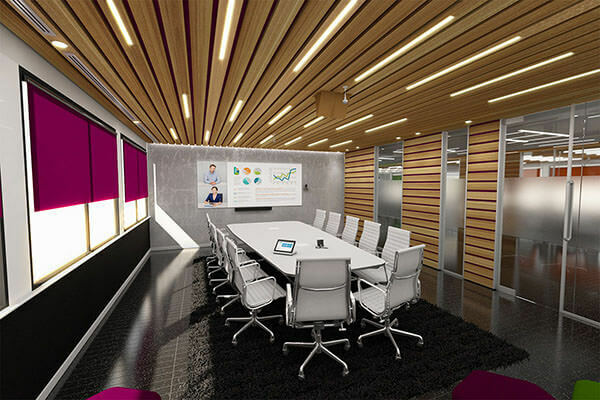 Delivering first class collaboration capabilities into the main conference room was the central focus of this project. The area would be used for high level meetings, presentations and remote site-to-site conferences and so our client wanted to ensure the most advanced, future-proof technology was available. 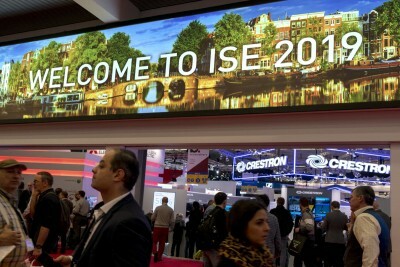 ‘Ease of use’ was a key consideration when evaluating technology options. Our client required that any user could walk into the room and intuitively operate the system; whether that is sharing content on the main room canvas or initiating a video call with multiple remote teams. In addition, we had to ensure a range of powerful collaboration tools were available; and that these tools could be seamlessly operated whether hosting an internal meeting, video conferencing session or a combination of both. With a sophisticated collaboration solution in place, the conference room would no doubt be in high demand. To cater for this eventuality an intelligent room booking system was required to avoid scenarios such as double bookings and interrupted meetings. To ensure the solution would meet our clients’ aspirations, Cinos entered a consultation period where both parties jointly evaluated the various technology options available. 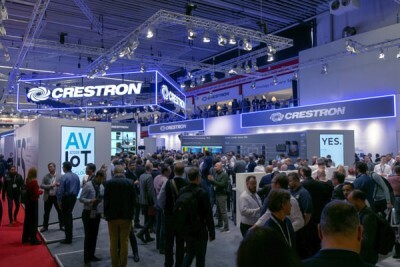 After in-depth discussions across a range of suitable technologies, Cinos were commissioned to deliver a high-end conferencing and presentation environment, centring around ‘The Cyviz Experience’. Cinos deployed a range of control, display and video conferencing technologies in our clients’ new conference room. The technology chosen was based around the simplicity of use, the power of collaboration and the ability to easily connect with remote teams. The Cyviz F103 solution takes centre stage in the conference room. This compact, high performing collaboration solution consists of a range of components, integrated seamlessly to deliver an unparalleled meeting room experience. Meeting participants can view content on the meeting room canvas; a front-projected flexible screen from Cyviz, which delivers high quality image reproduction and a 160-degree view angle. Bright, crisp and clear images are displayed on the canvas, courtesy of the Barco F35 projector. Chosen for its high-performance operation and reliability, the F35 utilises Barco’s proprietary and highly accurate colour management technology; guaranteeing the right colours throughout continuous operation. The projector is mounted in the Cyviz mechanical rig with a projector alignment unit that ensures a perfect image and delivers a high degree of stability over time. One of the main components of the F103 solution is the Cyviz Display Controller (CDC); a configurable control system and interface which combines ease of use with rich functionality. To ensure the CDC delivers a seamless user experience as expected, Cinos first had to work closely with Cyviz to integrate AMX’s 3150HD presentation switcher into the F103 solution. The AMX 3150HD handles the switching of all video and audio sources within the system, promoted by specific user commands from the CDC. For example, when a user selects a source, the AMX 3150HD switches the inputs to the Cyviz xpo.4 video processor. From here, the video processor, which delivers more than than 5 gigapixels/second of video-processing bandwidth, facilitates the user commands; whether that is sharing multiple sources or initiating a video conferencing call. Each source on the CDC is referred to as a PiP (Picture in Picture), and from the user interface participants have full control of their content. Each PiP can be resized as requirements change and holding down anywhere on the CDC or canvas will highlight and resize all PiPs automatically; perfect for quick collaboration on multiple documents. Up to four PiPs can be displayed simultaneously on the room canvas; whether that is from the connected PCs, user laptops, tablets or smartphones, or from the Barco ClickShare wireless presentation system. Users have access to television channels through Exterity’s R2900 IPTV system, integrated seamlessly into the room solution and available as a PiP within the CDC. 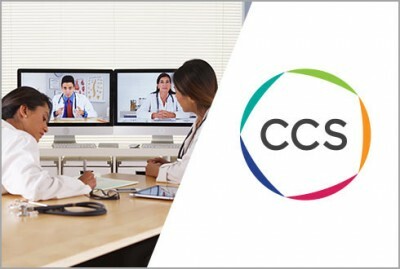 When it comes to video conferencing, users can enjoy an unmatched experience thanks to the deep integration between the CDC and Cisco’s TelePresence SX80 Codec. Once logged in, instant collaboration is achievable with phone book and call history features which minimise the time used establishing contact with remote teams. For reoccurring meetings, specific call pre-sets can be saved; allowing instant retrieval of regular documents and canvas layouts. In addition, two HD segments from the canvas can be shared on the video call; enabling users to position and share multiple sources within these segments for the ultimate collaboration experience. With a range of first class collaboration tools available, ensuring optimal audio coverage was a key objective. To deliver on this, Cinos installed and integrated Polycom’s SoundStructure, Clockaudio ceiling microphones and Apart MASK6 speakers into the F103 solution. Whether initiating a conference or sharing video content on the main canvas, the AMX 3150HD presentation switcher communicates with the necessary components to deliver a truly immersive audio experience. For large meetings with multiple objectives, the NEC UM351W interactive projector provides additional collaboration capabilities. This 3500-lumen ultra-short throw projector stands apart from the Cyviz solution and is connected to a dedicated PC. Using the interactive pens, meeting participants can annotate documents and distribute these with ease for further analysis with the wider team. With a range of first-class collaboration tools now available in the main conference room, the Evoko Room Manager was installed to avoid double bookings and interrupted meetings. The 8” touch-sensitive screen, located outside the room, instantly informs users of the rooms current availability by means of the screen’s red or green LED illumination. Furthermore, users can book the room from the touch screen or from their laptop, tablet or smartphone thanks to the integration with the organisations email system. 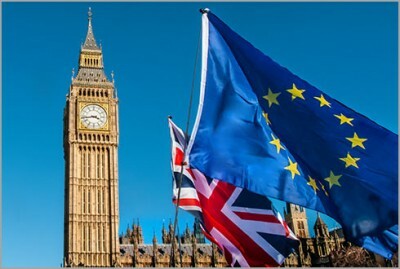 The installation of the Cyviz F103 and associated technology has significantly enhanced the collaborative capabilities of our public sector client. They will now be entering an adoption period within the organisation and should this prove to be successful ‘The Cyviz Experience’ will be rolled out across other meeting and control rooms. Could you benefit from the Cyviz Experience? 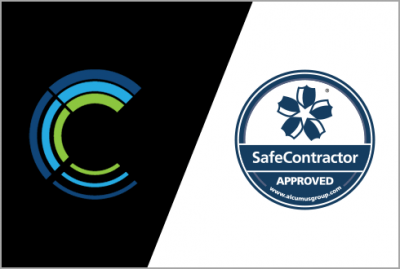 As a Cyviz Certified Partner we are perfectly placed to discuss your project. Get in touch with our team today. Cinos have created a state-of-the-art collaboration and conferencing environment centred around ‘The Cyviz Experience’. With the Cyviz Display Controller at the helm the solution is intuitive, powerful and with first-class, future-proof technologies in place, our client can enjoy a low total cost of ownership and ease of system expansion should requirements evolve in the future. The ability to resize PiPs as meetings progress really speeds up the decision making process. Presenters may have multiple PiPs on display at any one time and so the ease of resizing content as it becomes the focus of discussion makes each meeting more effective. Presenters can automatically resize all PiPs by holding down on the CDC or room canvas; ideal for quick collaboration across multiple documents. Frequently used scenarios can be saved as pre-sets for quick and easy later retrieval. The CDC works seamlessly with the Cisco components to deliver an easy-to-use, powerful video conferencing experience. Once logged into the system, saved pre-sets give users a ‘one click meeting’ experience; ideal for reoccurring meetings where the same documents and canvas layouts will be used. The productivity of a meeting is significantly improved with the ability to share multiple documents within two HD segments of the canvas. This mitigates the need to constantly switch between multiple sources which can become time consuming. The Cyviz Display Control platform is based on a standardised and configurable software package. 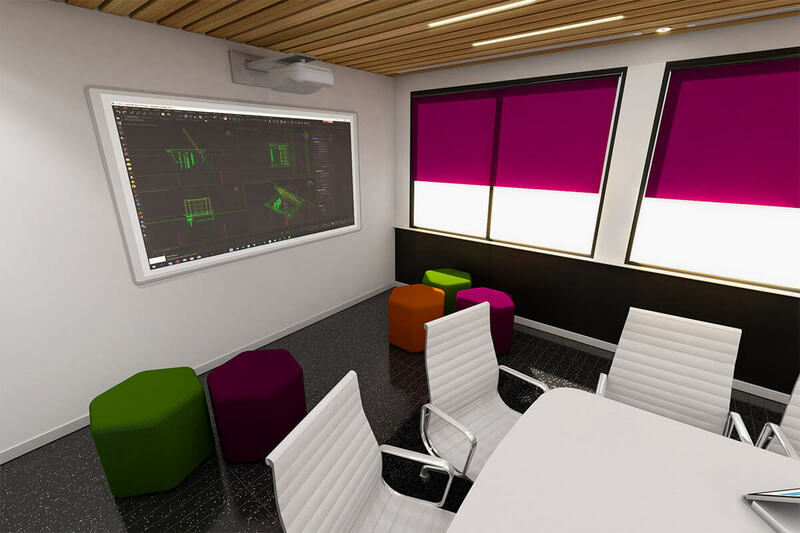 This architecture allows Cyviz to develop new software versions which can be used to upgrade existing installations – without the need for system specific programming. The CDC server is an extension of the CDC platform and provides a web-based interface for administrators and support staff. Instances such as broken lamps, non-responsive equipment and excessing operating temperatures are automatically detected with support staff being informed by means of email alerts. The integrated user rating capability is another ground-breaking function in the CDC Platform. It enables administrators and support staff to measure end-users’ level of satisfaction with the system. The Cyviz F103 sits at the heart of the conference room system. This multipurpose collaboration solution consists of a range of components which together, deliver the ultimate conferencing experience. bandwidth and a 12 bit color-capable processing core; ensuring the workstation is presented in full resolution and facilitating responsive, moveable and scalable PiPs. The seamless integration with Polycom’s conferencing solutions means initiating a conference call is as easy as making a phone call. In addition, the Cyviz mechanical rig with a projector alignment unit ensures perfect image quality from Barco’s F35 projector. The CDC takes centre stage in the conference room; functioning as the brain of the entire solution. 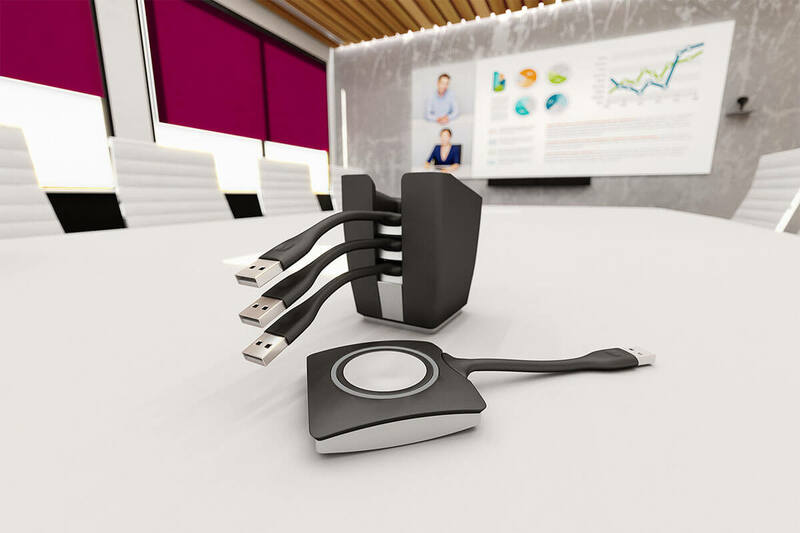 This high-performance controller represents a unique way of implementing, using and supporting feature-rich collaboration environments – whether that is content sharing at a meeting, initiating a video conferencing session or a combination of both. Setting up a video call is as simple as using a smart phone. Phone books and personal call history minimises the time used to establish contact with colleagues and partners. Meeting pre-sets enable users to begin a meeting with just one click. Learn more about how the Cyviz F103 solution delivered a state-of-the-art collaboration and conferencing environment for our client.